Bathroom Remodeling, Asheville NC | Off Duty Fireman Construction Inc.
'); // });Bathroom Remodeling, Asheville NC | Off Duty Fireman Construction Inc.
We're Social! Stay Connected with Us! Off Duty Fireman Construction Inc.
Let our highly qualified, knowledgeable team take on your bathroom remodeling project and produce exceptional results for your home in Asheville. Imagine coming home to a stunning, spacious bathroom that lends itself to complete relaxation and enjoyment. If this feels like just a dream, since your current bathroom is small, cramped, or lacks luxurious features and aesthetics, it’s time to do something about it! Let our highly qualified, knowledgeable team take on your bathroom remodeling project and produce exceptional results for your home in Asheville, North Carolina. Our bathroom remodeling process all starts with listening to you. In fact, we won’t do anything until we have your “okay” because we want you to be completely satisfied with the end result of your project. Let us know what you like, what you dislike, and how you intend to use your newly remodeled bathroom on a daily basis, and our team will get to work coming up with a plan of action. After we’ve solidified all the details, our contractors will come in and turn your bathroom remodeling ideas and dreams into reality. Our team is respectful and dedicated to quality results instead of working as quickly as possible. Although your bathroom won’t be a construction zone forever, we will take the time to focus and do this job right. When it comes to bathroom remodeling, we’re the right team for the job. Get in touch with us at Off Duty Fireman Construction Inc. today to find out more about why your project is in good hands with us. We can’t wait to hear from you! At Off Duty Fireman Construction Inc., we offer bathroom remodeling services in Asheville, Waynesville, Hendersonville, Black Mountain, Arden, Maggie Valley, Charlotte, Lenoir, Hendersonville, and Winston-Salem, North Carolina. 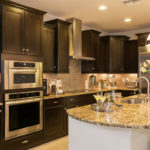 Providing exceptional remodeling and renovations services in Asheville, North Carolina, we take great pride in our work at Off Duty Fireman Construction Inc.
Save $500 Off Your Dream Kitchen! Asheville, Waynesville, Hendersonville, Black Mountain, Arden, and Maggie Valley.